Despite repeated asteroid threats, nuclear meltdowns, wars great and small and potentially species-eliminating plagues, we as a planet have finally made it. 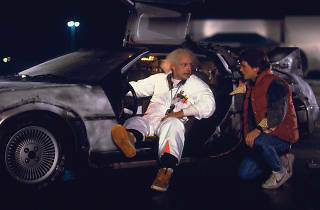 Happy ‘Back to the Future’ Day, everyone! 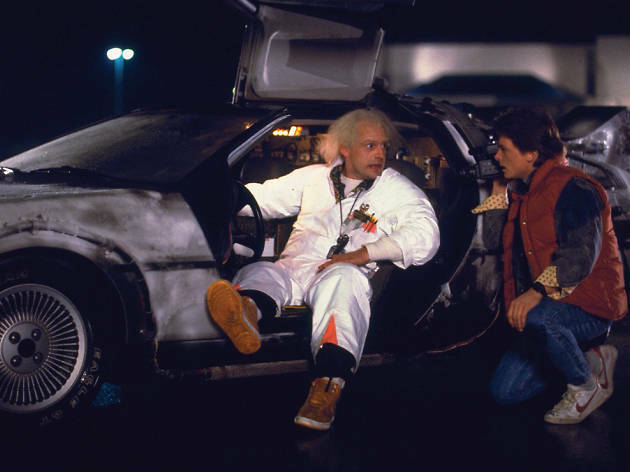 October 21, 2015 is the day Doc and Marty jetted off to at the end of the first film: the dream destination for these experienced time travellers. What would the world be like so far in the future, everyone asked back in 1985? The answer came four years later in ‘Back to the Future 2’ and involved hoverboards (yep, we have those), ’80s nostalgia (check) and ‘Jaws 15’ (sadly, still in development hell). But how, on this momentous day, does the original ‘Back to the Future’ stack up? Pretty much perfectly, to be honest. Time has not blunted its fresh wit, Capraesque sweetness, effortless moebius-strip storytelling and endlessly charming performances one iota. There’s the odd you-wouldn’t-get-away-with-that-now moment – Marty (Michael J Fox) basically hatches a plan to sexually assault his own mum (Lea Thompson) in a car park, and there’s that scene where it turns out a white guy invented rock ’n’ roll after all. But overall this is every bit as classy, clever and cockle-warming as it was 30 years ago.